Item #1: Focus on House Dresses. I am not traveling and home at the ranch-house. The dress code is very casual. But, getting dressed sets the tone for the day. I have a large stash of after retirement clothes. Sewing Goals help me stay busy and productive. Are not a fashion statement. Are one step up from a nightgown. Can be worn as a nightgown, pool cover-up, garden dress, work from home uniform. Comfortable but still say "dressed and ready for the day". Easy to make from stash. Great use for wadders and other low list items. Mend, alter, refashion 10 House Dresses. Before: Casual knit top worn for many years. 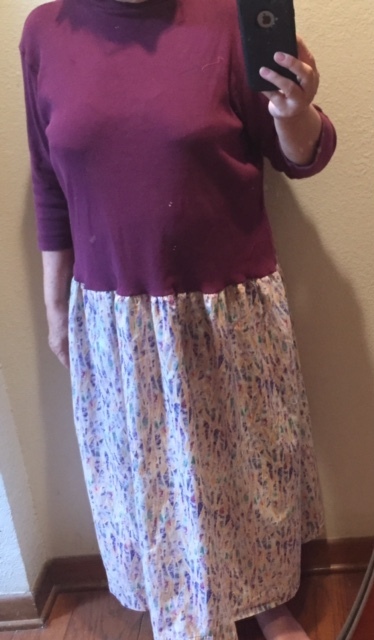 Cotton skirt from the refashion stash. 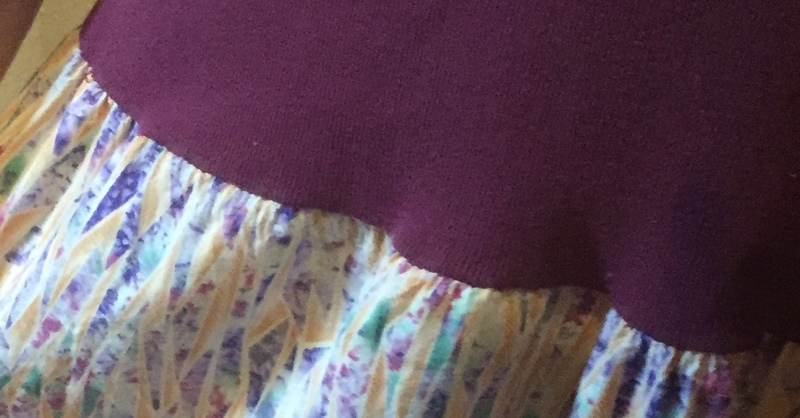 Steps: Keep the skirt hem. Cut off and serge skirt waistband. Cut off and serge hem from the top. Gather skirt. Stretch and pin top to skirt. Stitch. This took less than one hour. After: House dress or nightgown. I like the house dress, it looks comfortable and it achieves your list of goals.